Your tree painting will be an original artwork, hand-painted by artist, Bethany Ogle, on three canvases that fill a 50″ W x 20″ H space. This is the best canvas size to fit above a wide dresser or queen/full size bed. This is an untextured painting. If you want sculpted flowers in your tree top order the flowering tree painting. Step 1: Choose colors from the color chart below for the different parts of the tree. The circles are always white. Enter your choices in the form below and click submit. If you would like to see a mock-up of the color placement you choose, let me know in the “ask a question” box. 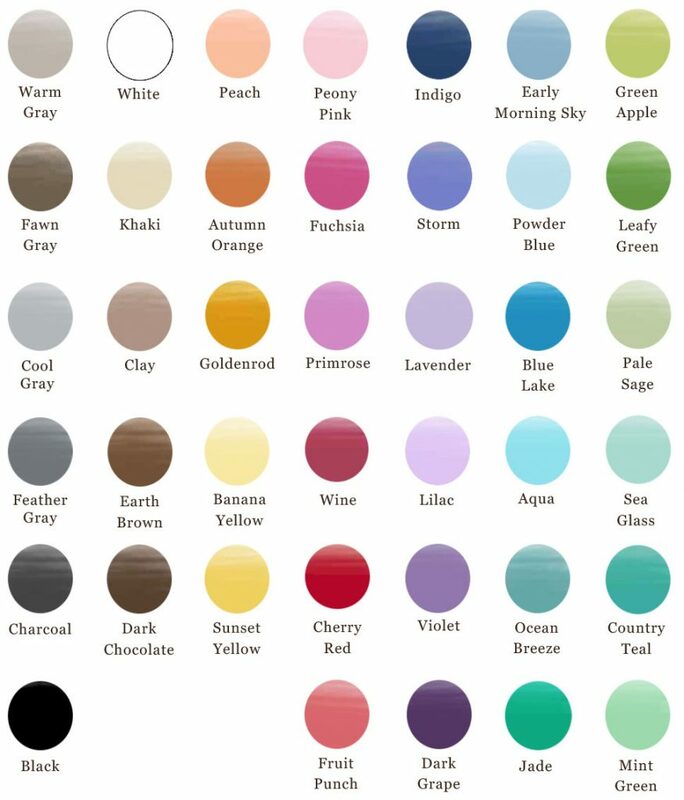 Enter your color choices from the color chart in the boxes below for each element of your painting.